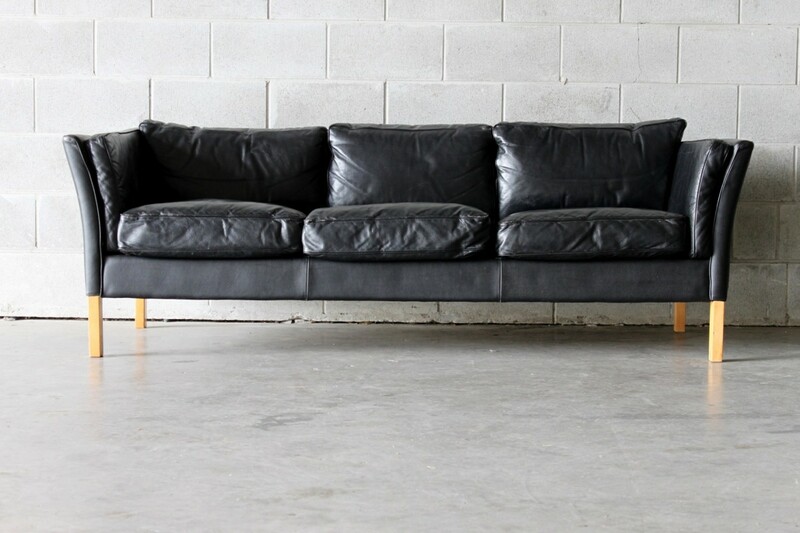 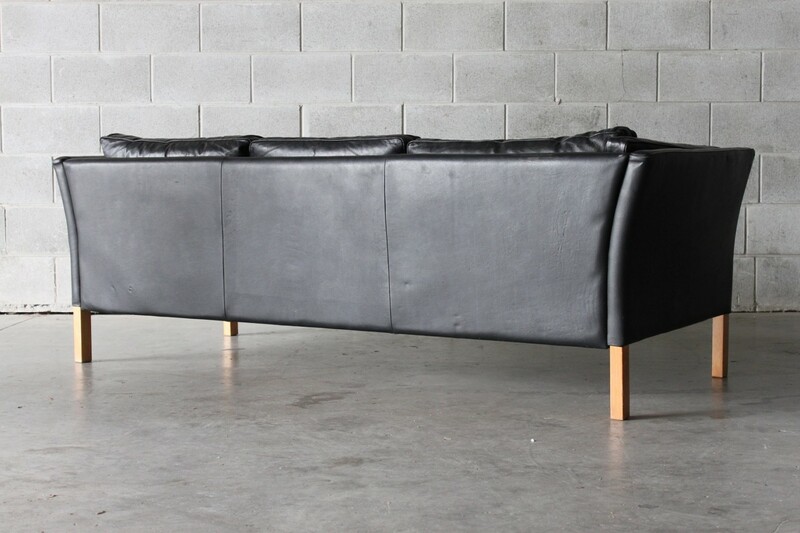 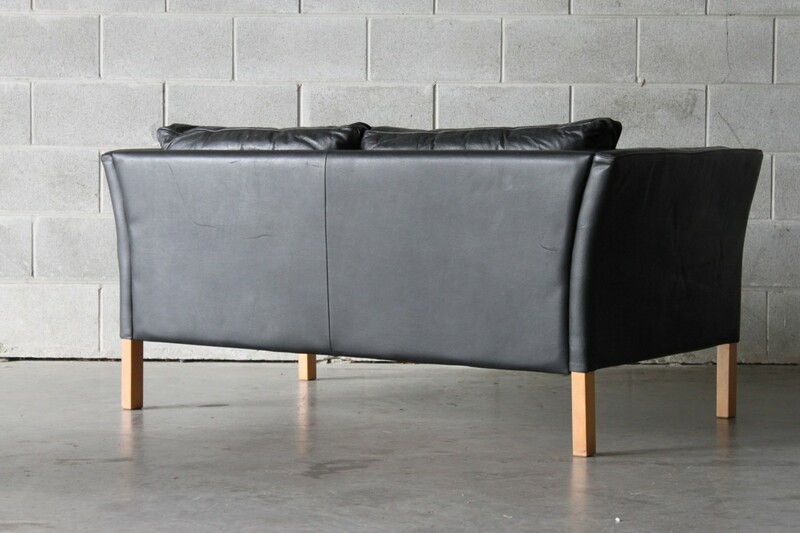 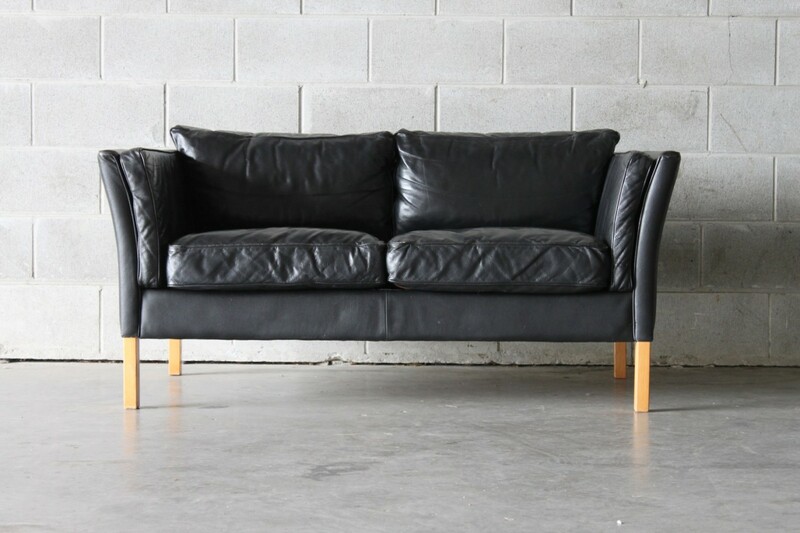 A lovely pair of black leather sofas consisting of 1x 3seater and 1x 2 seater. 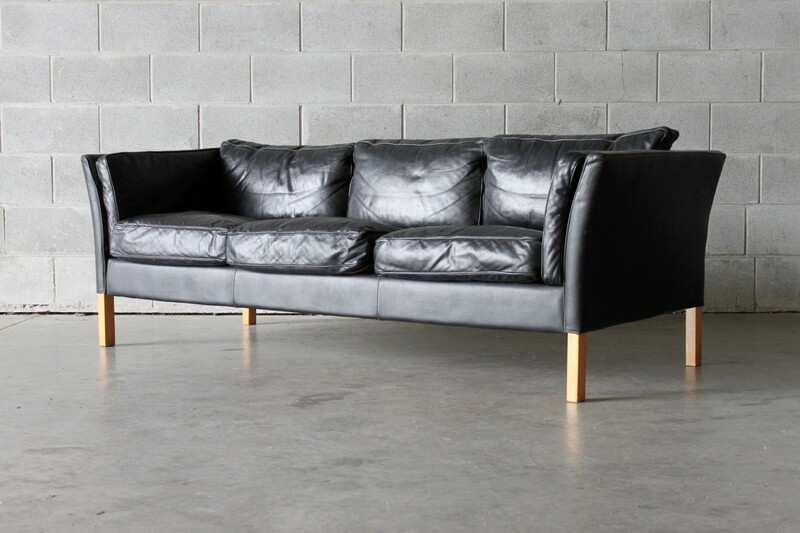 They have thick leather and piped squabs which are filled with feather and down so are nice and plump ideal for lounging around in. 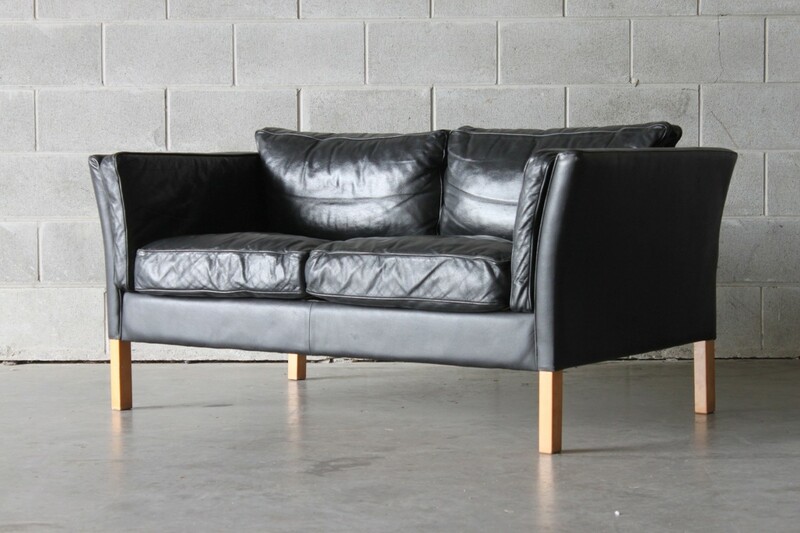 They are very comfortable and made very well as you would expect from vintage danish sofas.